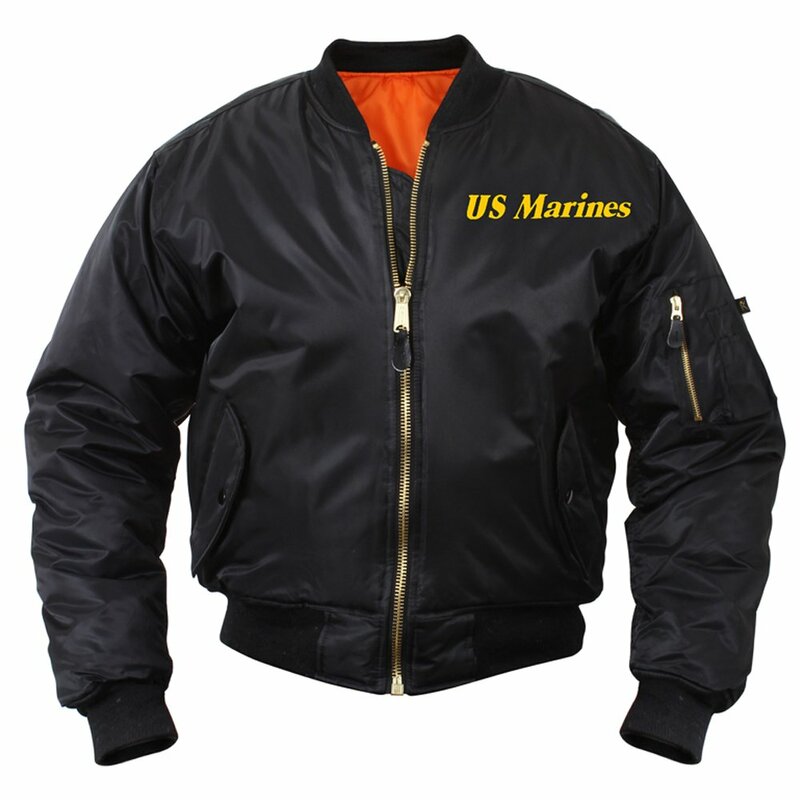 The Marine Corp Globe And Anchor MA-1 Flight Jacket is an extremely stylish jacket for men. It is everything that a men's jacket should be, comfort, style and elegance. The design and finishing of the jacket is awesome and comes with added features that make it one of the best jackets for men. It has a full sleeve body and is made up of real nylon fabric. It has a water repulsive outer crust, which makes it an ideal rain wear. The nylon fabric used as a liner ensures that you feel warm and comfortable inside it. This MA-1 pattern is enclosed with 10 inches inflated five color symbol of Marine Corps.